Enrollment forms available at the bottom of the page. 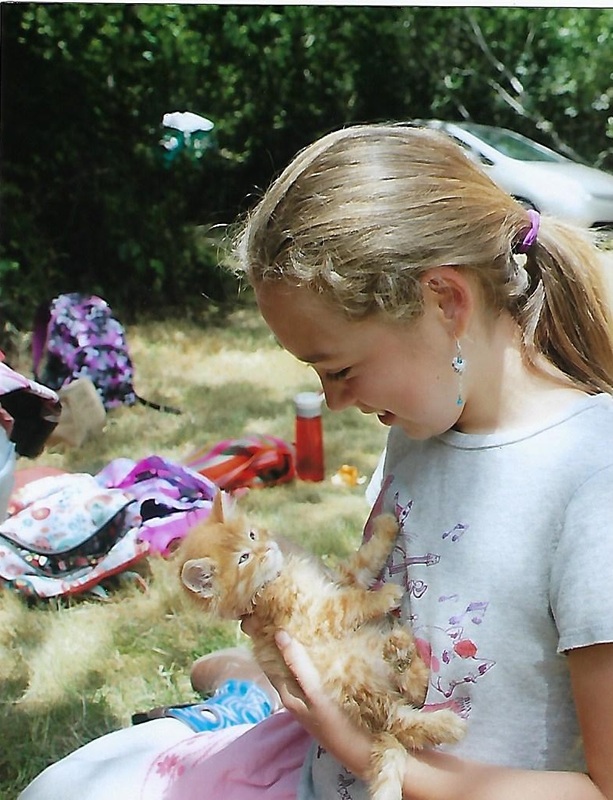 Welcome to the Companion Animal Foundation youth summer program page! Our goal is to help you understand our program, For the Love of Animals, and determine if it is a good fit for your child(ren). This is a very interactive animal program and is designed for children who have a strong passion to learn more about a variety of animals. This may be because they want to work with animals in some capacity for their career, or it may just be that they want to learn as much as they can about animals. Either way, this is the perfect program for an animal-loving child. This program is not a child care program because nothing else was available. Once again, do you have an animal (crazy!) child? Yes? Well then, you’ve landed in the right spot! The programs include dog obedience classes, animal care for a variety of animals, guest speakers, nutrition and so much more. Registration is $135.00 for five days of fun! CAF offers two programs. Each program runs Monday through Friday from 9am - 1pm. Animal Friendships runs June 24th - June 28th. This is designed for 8-10 year-old youths. Animal Ambassadors runs from July 8th - July 12th. This is designed towards 11-14 year-old youths. Children may not go into a program that does not match their age on the date of camp. If your child is 7 and won’t be 8 until after camp ends, then we will ask you to wait until next year when your child is the appropriate age for the camp. It can be very obvious when children are too young for the program they are placed in. It can also be very distracting for everyone as they are not quite old enough to grasp certain ideas and participate in a meaningful way. If your child is very young for their age, they may get more out of the activities if they wait. It’s exciting to have something to look forward to! If your child has already been to the camp for their age, it will be a repeat in many ways for that age group. Your child may want to wait until they are old enough to go into the next age up. Both programs include dog obedience classes, animal care for a variety of animals, guest speakers, etc.! We do not hold spots for the camp and your child only has a place once payment is received. We take children on a first come first serve basis. If you are told there is space but decide to hold off on payment, that spot may be filled in the meantime. If you need to cancel, we ask that you cancel 2 weeks prior to the start date of the camp and we will refund you $115 of your $135 fee. If cancellation is less than 2 weeks and we have no replacement for your child, the refund will be half the payment (unless we have a child to take the space then it will be $100). The more time you can give us, the greater the chance we can find another child to attend the camp. First check out the dates for the camps and make sure they work out with your schedule. Next, call CAF and inquire if there is space in the camp. Our number is 707-826- PETS (7387). Once it’s determined that there is space, please download the appropriate application (click the button at the bottom of the page) for you and your child to fill out and bring this to CAF with payment for the program. We will hand you a packet of information that you will return on the first day of the program. This is such a fun and engaging program. Every child that attends has so much to offer. I would love to promise you that this will, in some way, change their lives forever. I know it has changed mine.